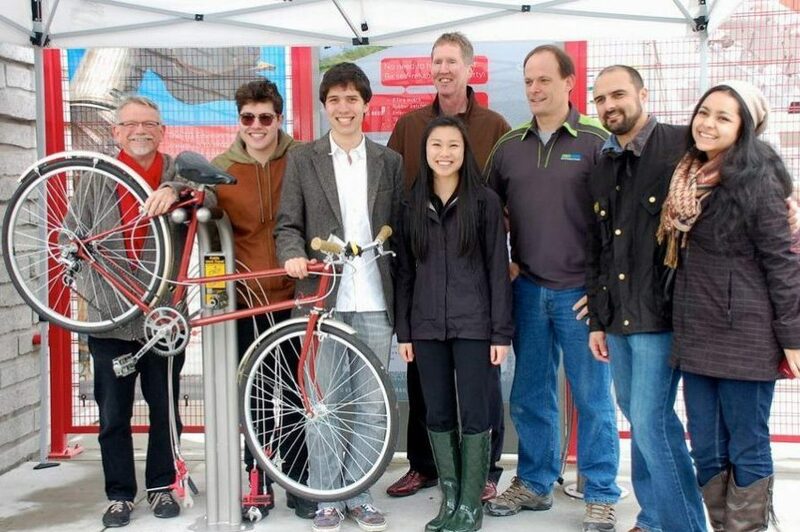 Repairing gaps in Vancouver’s bicycle network to improve accessibility for cyclists in the city. Thank you to Erin O'Melinn and Mauree Matsusaka for their help with our project. 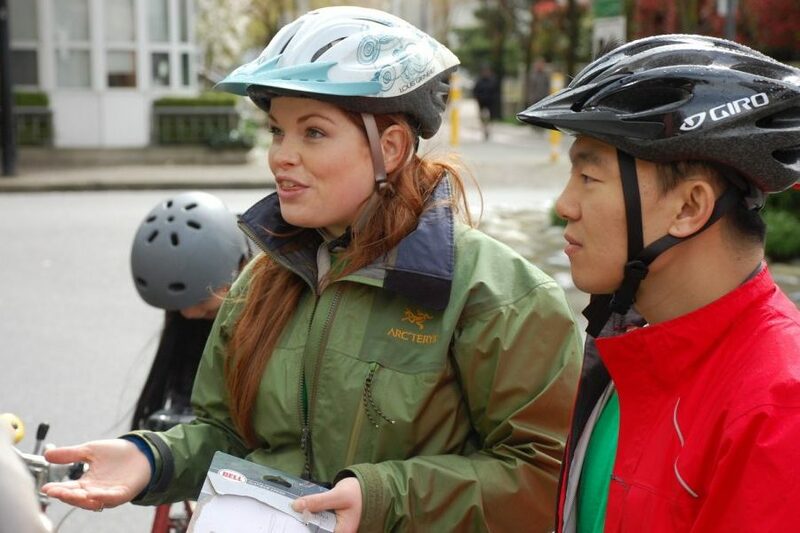 iGo fills gaps in Vancouver’s cycling network wayfinding system with signage and street paint, beginning with a demonstration project connecting the Seaside bike route and the Hornby bike lane. 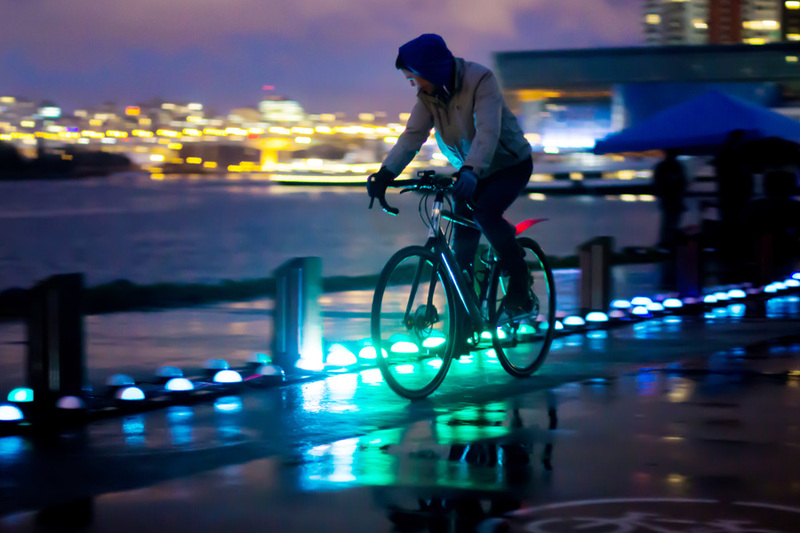 This will help make the majority of trips (over 50%) by foot, bicycle, and public transit. 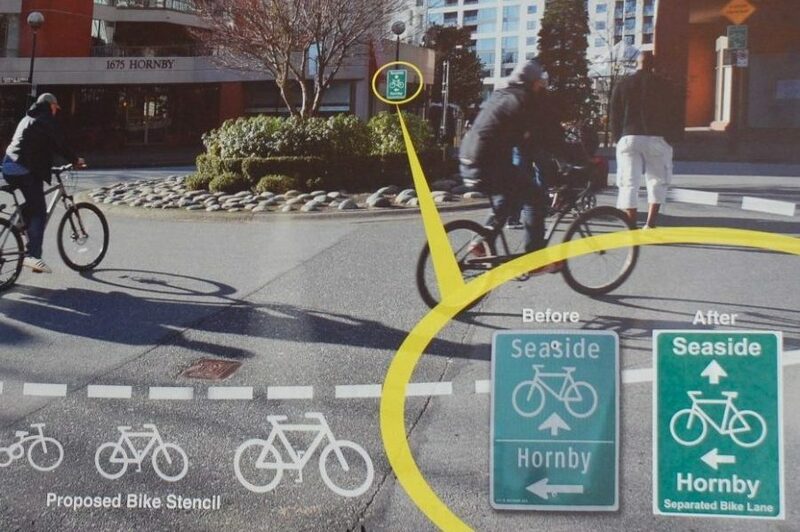 Together, the four members of team “iGO” are working to increase the accessibility and appeal of cycling by addressing wayfinding and safety concerns surrounding the intersection of Hornby Street and the Seaside bike route in north False Creek. Through our research and community-city conversations, we believe that by updating 4 existing bicycle wayfinding signs and painting newly designed street stencils at the intersection, information is being delivered with more clarity and with improved visual delivery on the street surface. Ultimately, our goal is to make navigating through the city on bicycle more accessible and appealing by increasing the visibility of safe, separated bike routes to all cyclists regardless of their age, ability or familiarity. First, we have designed a temporary street paint visual for the surface of the intersection, so that cyclists are visually directed to the bike lane. Second, we have redesigned the signs at the project site to increase information clarity and delivery. Third, we have designed a family-friendly ‘bicycle train’ stencil to add a whimsical nature to identify bicycle routes that are kid friendly. As of April 11th, 2013, two family-friendly indicators and four temporary versions of the new signs have already been installed at the site. As of April 11th, 2013, temporary versions of the new signs have been installed at the site. In the very near future, official aluminum street signs are being manufactured and paid for by the City of Vancouver for permanent installation. These signs will have the exact design our team suggested in our proposal, and as used in our temporary installation. Additionally, we have sprayed our temporary paint application (two familyfriendly indicators) on the road surface, in the traffic circle at the east and west Seaside Bicycle Route entrances. Stewardship Plan Due to the temporary nature of the street paint, very little will need to be done in the way of long-term stewardship. The paint will eventually wear off with regular use and rain. However, we are prepared to go in with a pressure washer to remove the paint applications should it be requested by the city. The new route signs will simply swap out the existing signs, and continue to be maintained as per usual by City staff.